Dr. Popiel serves as Executive Vice President and Chief Medical Officer for Cambia Health Solutions. 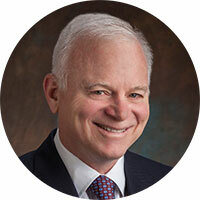 He is a nationally recognized health care delivery expert and thought leader coming to Cambia from Horizon Healthcare Innovations, a Horizon Blue Cross Blue Shield of New Jersey company, where he was President and Chief Operating Officer. He served as Horizon’s Vice President and Chief Medical Officer and as Vice President/Senior Medical Director for The Permanente Company. Dr. Popiel chairs the National Council of Physician and Pharmacy Executives, a Blue Cross and Blue Shield Association council comprising chief medical and chief pharmacy officers. He also leads the Chief Medical Officer Leadership Group at America’s Health Insurance Plans (AHIP) and serves on the AHIP board of directors.